So far Intel's lack of processor? The new CEO of MSI, Charles Chiang, provided very interesting information in a longer interview. Mint known, Intel has been thoroughly accounting for the introduction of its new manufacturing technology, making it substantially overloaded with 14 nm production lines. The situation is worrying, the problem has been around for many months, and you can find out the answer to it, that approx. when to expect improvement! MSI's first man was fairly public, so Tom's Hardware was able to gain a lot of important news. Once again, Intel has given priority to the i9, i7 and H processors, followed by U-centipeds and desktop models. This is why there is such a significant increase in the cost of desktop processors. Charles Chiang explained that the lack of Pentium and Celeron CPUs has an impact on their performance, as a large portion of users simply postpone the development - in English, motherboards remain on their neck. Chiang had no good opinion that Intel had returned to the 22 nm manufacturing technology for chipset to mitigate the deficit; the constantly changing road plans cause great confusion for them as well. There is also a lack of new Z390 chipset, which also hinders sales. According to Chiang, the worst has passed, but the processor shortage will last until the last quarter of 2019. The first quarter is not going to be too bright, but it may be a gradual improvement, and prices will finally settle for the last months of the year. Well, on our part, we wouldn't comment on this point in the statement, decide for yourself whether it is good news for it. MSI's CEO then wondered whether the situation was a great opportunity for AMD to increase its market share. This is obviously not a great recognition, but a more exciting idea of ​​how Intel responds to this situation when it comes to much more room for maneuver. Will you be able to recover the lost customers now, or will you be forced to record the loss as a loss? Experimenting: MSI is a small company, you just can't afford to try on different platforms. The gentleman here is supposed to be simply "not big enough" to create a more complex ecosystem. Even their current portfolio is rather complex, if they were to build more on AMD's products, to secure the right user experience would add new resources. Previous experience: MSI has already "burned itself", has bad experience from the past. 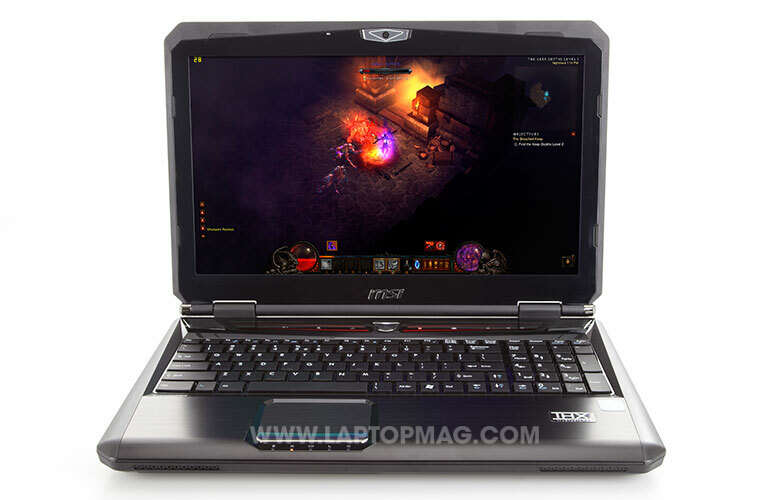 In 2012, MSI GX60 had an AMD A10 chip, but lacked support, Chiang said the product was uncompetitive - the Laptop Mag was somewhat different about this laptop, and they liked its performance and running time. Contact Intellel: Chiang said, "It would be very difficult for them to tell Intelle that they are no longer building on 100% because they provide very good support." The gentleman, in any case, does not claim that it would exert pressure on the chemist, although it is rather difficult not to think about it. Of course, MSI wouldn't want to give up the AMD fans' wallets, so they're definitely considering getting acquainted with the Ryzen processors in the near future. According to Chiang, they constantly appreciate the situation, but there is no concrete plan or a specific date for the change. It also turned out that Chiang is surprisingly generous in handling the commercial war between China and the United States; The situation is different for large companies, where every price increase can be a painful factor for frequent purchases. Of course, the vision of MSI was also discussed. A few years ago, the company had a much broader range than today. According to Chiang, these years are no longer coming back, primarily to continue to deliver performance-intensive users - mainly players. They think the gamer market is constantly growing, so it's definitely worth staying close to the fire. It is no coincidence, therefore, that the MSI Prestige line exists, and the target audience is based on demanding, yet well-paid professionals. 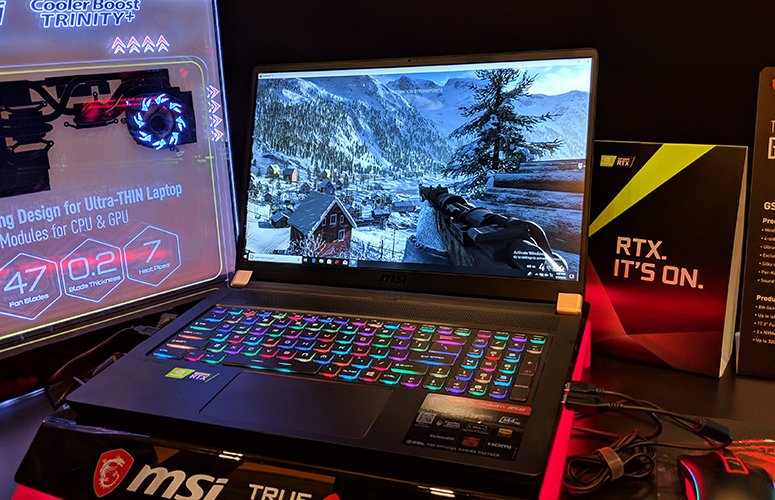 Chiang, in essence, spelled out what he was expecting in the future: Thin, even lighter laptops that delight their users with high resolution and combos. The 10 nm manufacturing technology on the Intel side will be of great help in this, and the 7 nm strip width from AMD, because these improvements lead to greater energy efficiency. These inserts will provide satisfactory speeds with less energy, so they can fit into even thinner enclosures, says MSI head. It is worth noting that Stealth GS75 (above image), based on the eighth generation Core processor and RTX graphics, has a total of 2,2 kg, and its thinness is really astonishing (19 mm). It is not good news, however, that Chiang says it should increase the ASP (average selling price) because there is an increase, but the base of the gaming notebooks is rather small, so increasing profits is not easy. Chiang believes that new implementations such as RTX, 4K displays with fast response times, ultra-slim design all lay the foundation for raising sales prices. The MSI in this field (portable power plants) is not bad at all, but it offers a full ecosystem (software, peripherals, gaming machines) and, on the other hand, has a close relationship with the eSport community, as well as successful years. For the three reasons, the first two are alibi; for the third reason, Intel is once good. Yes, at the third point, the horse is sticking out.